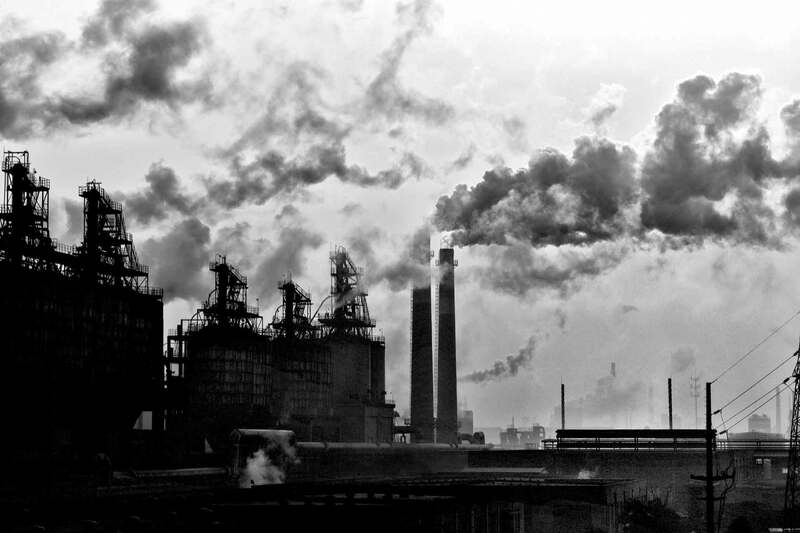 A UBC researcher is drawing attention to the human cost of our consumer behaviour by examining the number of deaths caused by air pollution from manufacturing goods. While some countries bear the brunt of the health risks from air pollution, the products often end up in the hands of consumers in other countries. In a new study published today in Nature, researchers found that of the 3.45 million premature deaths caused by air pollution in 2007, about 22 per cent, or more than 750,000, were associated with goods and services produced in one region for consumption in another. Here, Michael Brauer, a professor in the school of population and public health and co-author of the study, explains the cross-border impacts of air pollution. What makes air pollution a global issue? This paper is focused on air pollution related to international trade and its health impacts. Most of the time we think about air pollution as a local issue but this study provides evidence that it is a global concern. Everyone either feels the impacts or contributes to them or both. For some, the impacts can be abstract, just as people rarely think about the workplace conditions of those making the goods that we purchase. We may benefit from lower prices by buying goods made elsewhere but it may be coming at the expense of people’s health. We hope this research will help improve awareness about the impacts of production and international trade on environmental conditions and ultimately contribute to reduced air pollution globally. Where are people at greatest risk for dying because of our demand for goods in North America? Globally, U.S. consumption is responsible for about 100,000 deaths that occur elsewhere in the world which is about the same number of deaths from pollution that occur in the U.S. About 50 per cent of these are in China with another 20 per cent elsewhere in Asia. Since Canada is a relatively small consumer nation, its impact on pollution related deaths elsewhere is much smaller. Less than one per cent of the deaths associated with air pollution in China or Latin America come from Canada’s consumption. Still, in total Canada’s consumption accounts for 13,000 deaths elsewhere in the world and that’s more than the total pollution deaths which occur in Canada. On a percentage basis, consumption in the U.S. is responsible for about half of the 8,000 pollution deaths occurring in Canada and 11 per cent of the pollution deaths in Latin America, mainly Mexico. More than half of the deaths that occur in Canada from air pollution are due to consumption in the U.S. while only five per cent of the deaths in the U.S. are due to air pollution from consumption in Canada. However, since the population and total pollution-related deaths are much larger in the U.S. than in Canada the overall impacts of cross-border trade on pollution deaths in each country are similar. There are 4,100 deaths in Canada from U.S. consumption and 3,700 deaths in the U.S. from Canadian consumption. We know from the experience in North American and western Europe that we can dramatically reduce air pollutant emissions created by producing goods. We’d like to see implementation of the same air pollution reduction approaches elsewhere. Despite the rhetoric to the contrary, environmental protection does not mean reduced economic growth. On a broader scale general reductions in consumption and the development of practices that incentivize more durable, longer-lasting goods that are produced with lower pollution emissions would be positive. Everyone has the right to live with clean air. What stood out as important findings for other countries around the world? From a health perspective, the worst places to produce goods are places which are upwind of dense populations with high rates of chronic diseases affected by air pollution. For example, while Japan has made great progress in cleaning up its industrial emissions, it bears a large impact from production in China. A lot of Chinese pollution ends up in Japan.